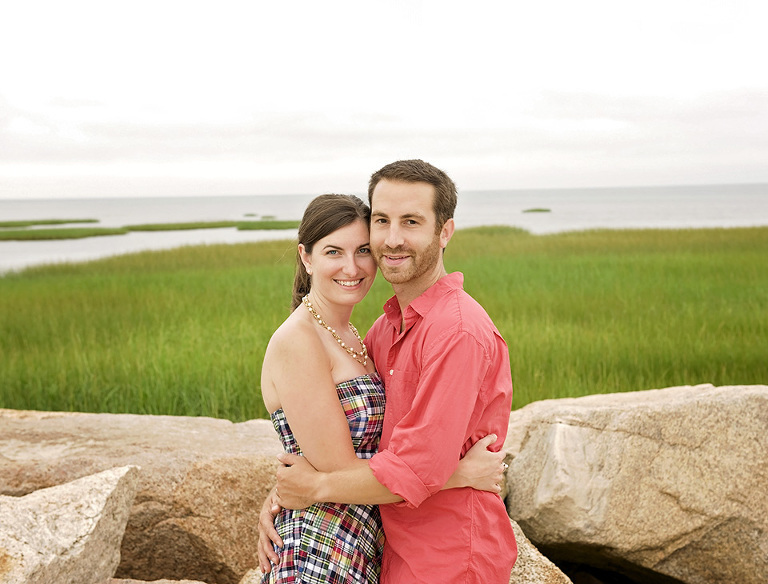 We are Jake and Jess Koteen, a husband and wife team with a long history of friendship and love. We met over 20 years ago, married 8 years ago and started working together soon after. “Opposites attract” definitely applies to us. Our friends often ask how we manage to spend so much time together and still enjoy each other. The answer is simple. Through the years we learned that we are the perfect balance to each other’s personalities. Jake is a dreamer and Jess is a planner. Jess likes to chat and Jake loves to do. When you combine the halves, we make a pretty good whole. We love that our job gives us the opportunity to make memories together, see new places, create new friendships, and have time with our girls. As two people who love to document our life and spend quality time as a family, we feel so honored to capture that love and connection for others. Over the years, we have been so lucky to work for and with great people. We have enjoyed each wedding and event we photographed. Also, who doesn’t love a job where you always go to a party?! We get to be a part of incredible celebrations and a day of fun, and joy. In addition to documenting weddings and events, we love to capture families. Now that we have our own kiddos, our love for family sessions has grown as well. We can truly appreciate how important it is to document the moments since kids change so quickly. Also as parents, we can roll with any behavior that little people bring to a session. We think everything is fun and funny even when mom and dad don’t. We aren’t afraid to be goofy. We love to laugh. While we take our jobs seriously, we know it is important to not take ourselves too seriously. We try to always have fun. We have photographed from the top of mountains, with our toes in the sand, and climbing through 4 feet of snow. Each experience has its own unique fun, and we love to try new things. Jake has been known to climb trees for just the right shot, and Jess will do just about anything to get a kid to smile. Our approach to life and work has connected us with some awesome people. Thanks to our job, we have made many great, new friends, and we can’t wait to make even more. • Collectively we have been to 6 of the 7 continents. We aren’t sure that we need to travel to Antarctica. We have driven cross-country together and between the two of us visited 45 states. We love exploring new places whether it is for work or for ourselves. • We met in a small, private high school in CT. On Jess’s first day at the new school, she sat next to Jake in her very first class. Although we had never met before that day, over the years we discovered that our lives had many common places, people, and even camps in common. • Jake loves anything outdoors. He is an avid trail runner, hiker, and skier. He daydreams about photographing far off lands and unexplored areas in the wilderness like he was able to do during photography school. • Jess loves to spend time checking out Pinterest, do arts and crafts with the kids, and scare Jake with her many ideas for sprucing up the house. • We have 2 girls and a baby on the way. We bought a house on 5 acres in North Granby, CT, complete with a barn, so we can teach our kids about getting outside, loving nature, and growing their own food. We even started canning and preserve our own food. • We love craft beer. Jake has become an awesome home brewer. We planted hops to complete the process! We both love a good bourbon. • Post kids, we haven’t found much time to read, but Jess discovered that audio books are the best! • We enjoy cooking, though our children constantly challenge that love since they seemingly have very unsophisticated palates. However breakfast is the best! We can all agree on homemade waffles, pancakes, and crepes. We love trying new foods and finding new restaurants. We always welcome a good suggestion. • And most importantly, we don’t always love the same things but we can’t imagine a life with anyone else!